I love video games as a way to relax, be creative, and be part of a community. Over the last 5 years, I've translated that passion into game development. For players with disabilities or other limiting conditions, poorly designed video games can be a barrier to entry. Challenge myself to create a universally accessible game that can be played by people with vision, hearing, mobility, and/or cognitive disabilities, and document best practices for other game designers. In January 2019, I presented my work and led a panel on accessible game design along with Daniel Greenberg, a game design professor at GMU. Last fall, I spent a semester researching and writing about accessible game design, culminating in the Accessible Video Game Design Guidelines, a detailed website that game designers can use as a resource for designing game components like health bars, HUDs, and menus. 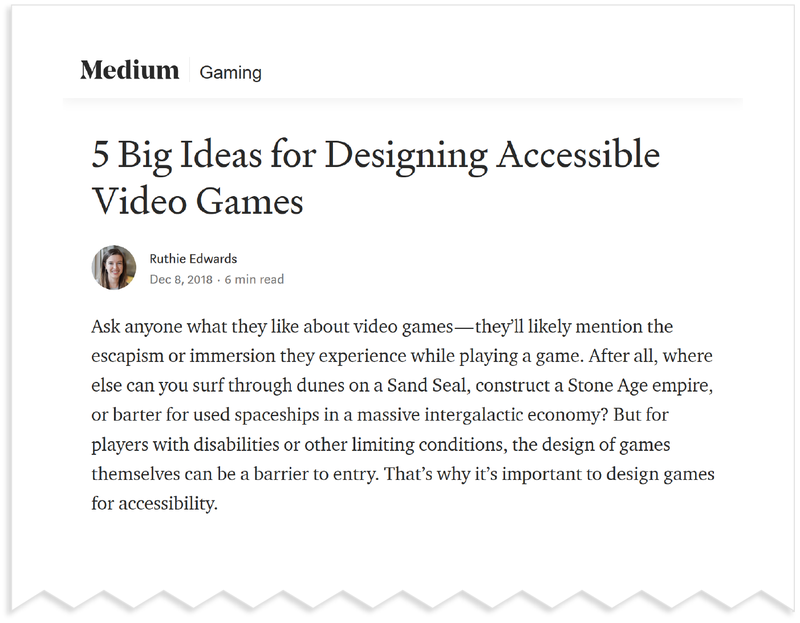 For a broad overview, I distilled the 5 main principles of the project in a Medium article called "5 Big Ideas for Designing Accessible Video Games." It served as a teaser for the project and as a way to get non-designers familiar with some accessibility terms. I met with members of VCU's Association of Students with Disabilities and Chronic Conditions to discuss issues they had with video games. To my surprise, many of them didn't play video games at all because of limitations like low grip strength, PTSD, and learning disabilities. These informal chats were invaluable in exposing how diverse disabilities can be. I surveyed and interviewed people on Reddit, Craigslist, and gaming forums. At first I was afraid to enter a community I was not a part of, but I soon realized that the more voices there are fighting for better accessibility, the louder that message is heard. Everyone was welcoming and encouraging as I uncovered a lot of pain points that gamers with disabilities experience: annoying button-mashing, timers that are too short, nauseating flashes and screenshakes, and even poor sound design that can trigger people with tinnitus or autism. Because of my background in visual design, it was hard to put myself in the shoes of a person who is totally blind. And that's why talking with TJ the Blind Gamer was invaluable -- he plays popular games like Call of Duty: WWII and describes how he uses the sound to navigate menus and kill other players. Through talking with him on Reddit and watching his live streams, I was able to gather a lot of insights on how to design UI and gameplay elements for blind and vision-impaired players. The game must only use one input that can be mapped to any key or switch (plus an escape key, which is standard, thank you to Barrie Ellis of OneSwitch). 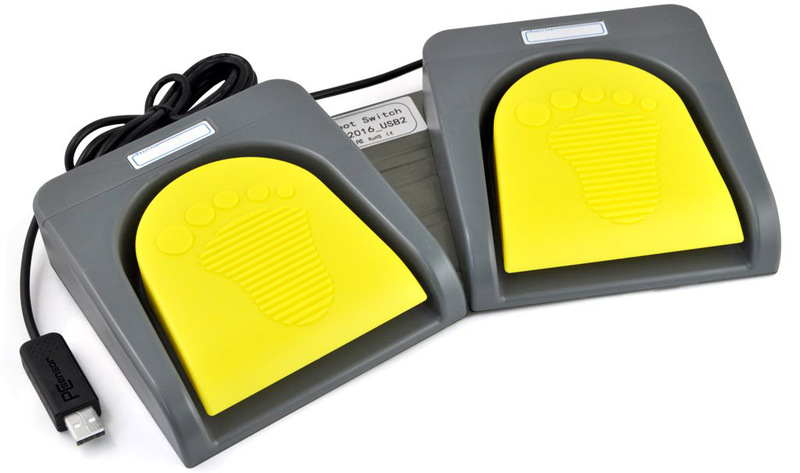 Some players with physical disabilities use paddles, footpedals, and other types of switches to control their computers, so the game should be compatible with any device. Every piece of text has a corresponding voiceover, and each animation has a sound effect that describes what is happening so that a blind player should be able to play it. Fish never "escape" and there's no judgment on how well a player is doing. 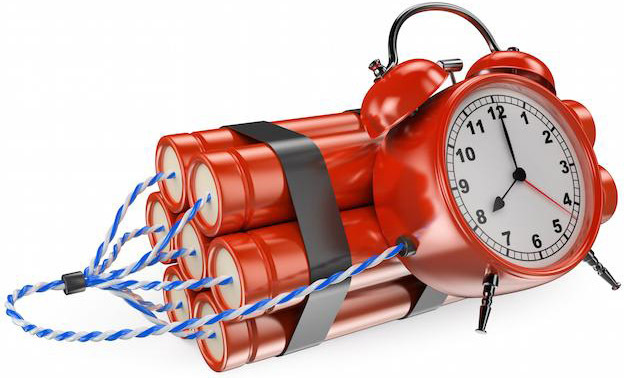 Sandbox-style gameplay means there are no rules, so players with cognitive disabilities or slow reflexes should never feel frustrated. The title introduces some of the fish players can catch in the game and prompts players to hit the 'action' button (which can be mapped to any key). Players don't have to worry about navigating the map -- it scrolls for them, so all they have to do is hit a single button to travel. 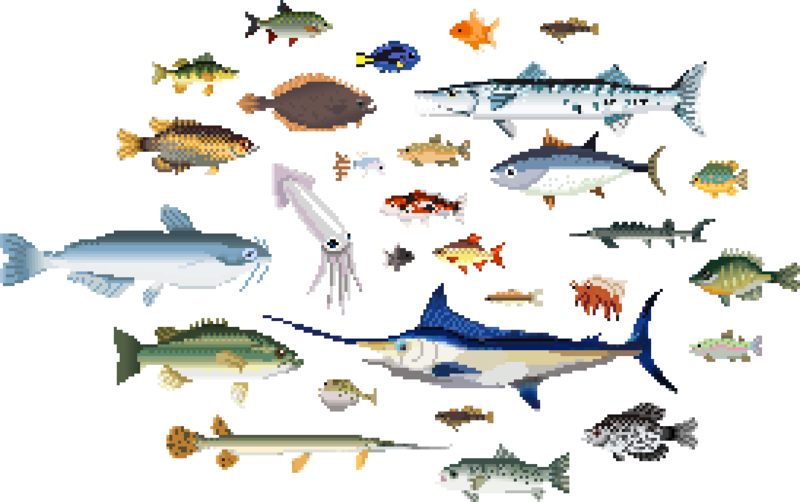 Players can fish three locations with 28 species to discover. The escape key brings them back to the overworld map. Players use one button to wind up, cast, and reel in fish. Audio and text describe what kind of fish they catch and how much it weighs. I researched North American fish* to accurately represent the three biomes. I balanced the fishes' colors, weights, and sizes to keep a sense of surprise with each fish reeled in. Each is drawn in a realistic pixel art style. Three biomes with unique music tracks create different moods. I drew frame-by-frame character and background animations using themes from the 12 Principles of Animation to lend more responsiveness to the controls. I tested the game with my peers, forcing them to play with temporary limitations like turning the monitor off or only allowing foot pedal controls (see video). They gave me a lot of feedback on the gameplay and UI, especially around the audio, which had an unclear onboarding process. After Tweeting the testing video, many gamers including Lirin, who is blind, reached out with excitement after reading about a game that is accessible to them. Many of them offered to test, which was so welcoming to hear. When I have time, I plan to redesign the audio to give more clear feedback and give a better sense of reward when catching a fish. User testing with players like Lirin will be crucial. Just Fishing 3.0 will include a quest system involving a biologist who needs the player to collect various fish for her research, along with an aquarium to gaze at all the caught fish. I was ecstatic when Ian Hamilton, one of the biggest voices in games accessibility advocacy and consulting endorsed my project. He gave me a few corrections and encouraged me to continue my work on it. I also got a lot of support from Barrie Ellis from OneSwitch, a site that hosts one-button games, and his experiences working with people who use switch devices was really informative. Video game UI has to adapt to new technologies all the time -- lately, it's been flipped on its head by motion controls, VR/AR, and game streaming services. I hope the Accessible Video Game Guidelines continues to address the challenges designers face when designing UI for these systems and that the main principles highlighted in my article continue to influence design in the future.